Welcome to the 6th Annual Lander Sprint Triathlon! Whether it is your first triathlon, or tenth, we invite you to join the Lander community for a fun day of swim, bike, run. The race will be a 750m swim, 20k bike, and a 5k run in scenic Lander, Wyoming. Participants may compete individually or in teams. $750 in total prize money to top three finishers male/female, overall team, and fastest splits for swim/bike/run for male/female. 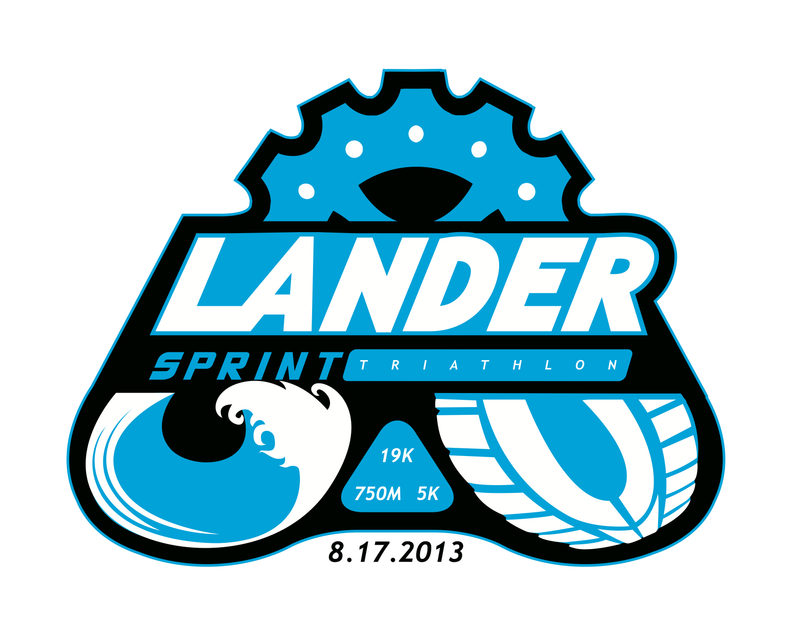 Members of the Lander Triathlon Club are eligible for $5 off their race entry fee. To use this membership benefit, please use the coupon code: MEMBER16. Or, you may register at Gannett Peak Sports. You may join the club anytime before August 10th to use this promotion for the 2016 race. Packet pick up will be hosted at Gannett Peak Sports on Friday, August 12th from 4-8pm. Athletes may enjoy a complementay pre-race dinner at The Middle Fork until 8pm (lasagne, salad, bread, drink). Race day packet pick up will be from 5:30-6:30am at the Lander Pool. Please join us in the bleachers/field behind the pool 11a-2p after the race for food, raffle prizes, awards and fun!